The FIG Executive Committee, which held its third meeting of the year in Tonsberg, Norway between July 27 - July 29, has finally decided to organize Junior World Championships in Artistic Gymnastics, starting in 2019. Therefor, they have asked the Competition Commission in consultation with the respective Technical Committee Presidents to develop the necessary rules and criteria to be presented for approval at the next EC meeting in October 2017. The EC has as well approved the nationality changes for two judges, two Rhythmic gymnasts and male gymnast. Alla Sosnitskaya's name was not mentioned among those who have changed their nationalities. The Russian born was recently seen competing for Georgia at a small meet. Athletes who qualify for the 2020 Olympic Games through the Individual World Cup Series will be allowed to participate on all apparatus in the qualification at the Games. If Paris won bid to host the 2024 Olympics, medal winning athletes will have the opportunity to share their success with family members and loved ones. The medals, which are designed by Philippe Starck, can be split into four but looks exactly the same as the typical sporting medal on the surface. "Today, more than ever, the truth is that you're not winning alone, so I wanted this medal to reflect that," said Starck. "If the winner wants to share it, they can share it." Paris previously hosted the 1900 Summer Olympics and the 1924 Summer Olympics. If awarded the 2024 Summer Olympics, Paris will become the second city (after London) to host the Olympic games three times. The 2024 Olympics will either be hosted by Paris or Los Anglos. The winner will be announced on 13 September. Acro was accepted by the International Olympic Committee (IOC) Executive Board as a new discipline for the 2018 Youth Olympic Games at the board's recent meeting in Rio de Janeiro (BRA). 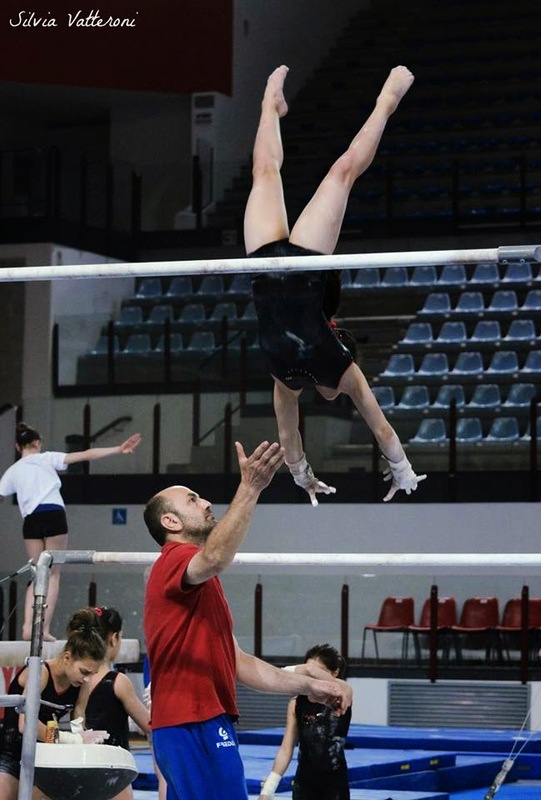 A new Multidiscipline Event in which all gymnasts (156 or 160) from all continents will be divided into 10 or 11 groups, with each group containing 14-16 gymnasts and competing as a multinational, multidiscipline team. The IOC has not yet decided the quota for this event. As soon as that number is published, the FIG Executive Committee will update and approve the Rules for the 2018 Youth Olympic Games. The third edition of the Youth Olympic Games will be held October 1-12, 2018 in Buenos Aires, Argentina. The FIG has approved the rule of four members per team starting from 2020 Tokyo Olympics and since then, the gyminternet has no stopped criticizing it. remember-ember-mclain Idk how to feel about the new team thing. I mean it sounds plausible but until we get to 2020, we won’t know if this is a good idea or not. But we’ll see. elisaminimeneghini And here I was thinking that 5-gymnast teams were too small and should be increased to 6. Hahaha. Haha. Ha. holdbroo92 FIG basically just do the opposite of what we all want, so maybe if we all get on board and act as if we’re totally cool with 4-person teams and specialists, they’ll give us what we actually want…. 6 person teams and at least 3-per-country in the AA. In saying that though, the IOC definitely should be allocating more spots to the sport. Surely athletics and swimming have enough spots between them to share? Or why does the IOC place such stringent limits on athlete spots anyway? This entire thing is incredibly frustrating and confusing and I feel bad for casual fans who’ll probably just switch off rather than try and figure it out which will hurt the sport even more. standingarabian You know the only team (as of right now) that can conceivable put up four very strong AAers in 2020 is the US. If you’re trying to take away the advantage from the US, this is not the way to do it. my-bff-nastia I’m not as upset about it as anyone else. Maybe I’m seeing the bright side but six U.S. gymnasts now have a chance to make it instead of five, including specialists who might not otherwise have a chance to make the team (ie Asac in 2012 or Skinner next year). I don’t love the team format but I absolutely love being able to send girls for more than just the team, because those who don’t fit the team mold get a shot. The FIG only gets so many spots for gymnastics (it’s like 90) so they’re trying to divvy them up fairly to include both the best in the world and, in the spirit of the Olympics which are about international inclusion as much as they are being the best in the world, they’re trying to make sure many countries get a chance. I do think it should be more about the best in the world, but at the same time, you’re working with 90 spots and you have to put a limit on each country somehow, so no matter what you do, the U.S. is still going to be leaving girls with Olympic talent behind. This way they’re getting one extra spot than they do now so in a way it’s beneficial for them and other countries with gymnasts who are strong but don’t fit their team’s mold. The FIG has sparked anger with their official announcement of cutting the number of team members from five to four starting from Tokyo Olympics. Great Britain's Becky Downie, 2013 uneven bars European champion. So the next generation of gymnasts will be pushed out of team events if they're not a top AA gymnast ? Way to inspire the next generation !! Danusia Fracis of Great Britain/Jamaica, 2012 Olympic team alternate. Chellsie Memmel of USA, 2005 World all around champion and 2012 Olympic silver medalist. Kennedy Baker of USA, a retired elite gymnast. They just eliminated the Olympic team to 4 members... That's not even a team, that's a small get together. 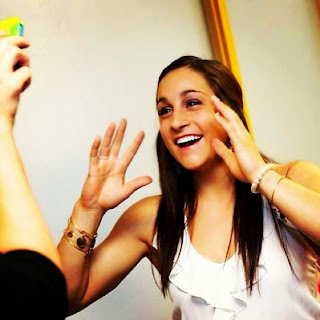 Jordyn Wieber of USA, retired London Olympic champion. According to Steve Butcher, the FIG men's technical committee president, has approved the new team format. The team will consist of only four gymnasts, all of which must be all arounders. Gymnasts will be competing on all four events and only the highest three scores on each event will be counted in the team competition. Additionally, up to two event specialists/extra all arounders per country will be able to qualify and compete at the Olympics through World Cups, Challenge Cups, and Continental Championships. 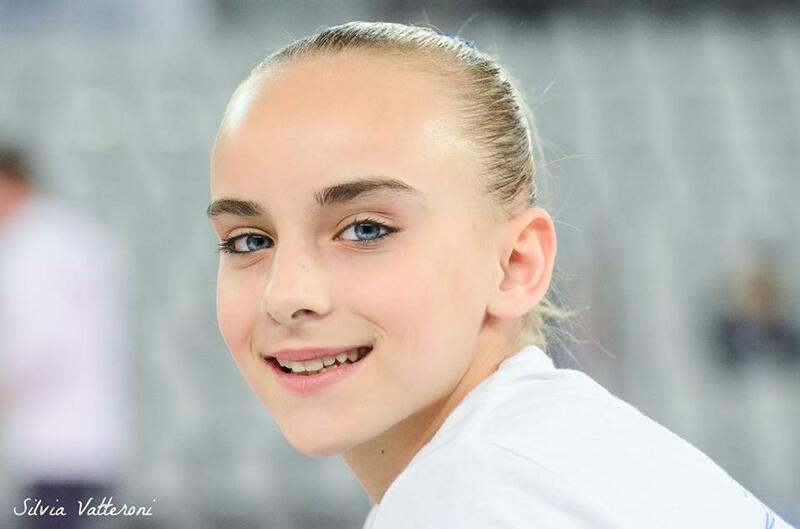 "There are many other formulas for AA gymnasts to qualify outside of the teams. The final details are still to be worked out, but the format is now set" added Butcher. Teams at 2012 London Olympic Games were composed of five members, while teams at 2008, 2004 and 2000 Olympics were composed of six members. In 1996, it was seven gymnasts per team. Between 1972 and 1992, each team consisted of six gymnasts.